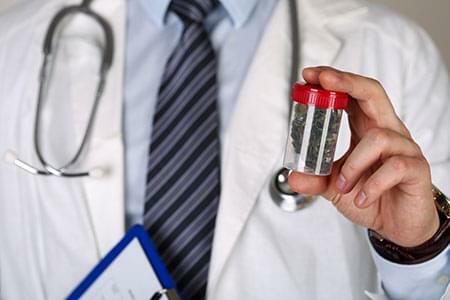 The newly announced legalisation of medical marijuana in Australia poses huge benefits, not just to Australians, but to the worldwide cannabis industry. However, we may still be a long way from its actual use and distribution. The legalisation of marijuana, albeit medical marijuana, is a status quo that is changing around the globe. Slowly but surely more countries are looking to legalise the use of cannabis to help improve the quality of lives for their inhabitants. Well, it would appear that Australia has become the latest country to pass legislation legalising the cultivation and distribution of weed in Australia. The dream of migrating to Australia and living out your days - enjoying the sunshine, having barbecues and surfing huge waves - may have just got a whole lot sweeter with the prospect of legal cannabis. However, things are never as simple as they first appear. Whilst the “Narcotic Drugs Amendment 2016” does legalise the production of medical marijuana, this is very much the first step in a long path to its actual distribution and use, and an even longer path to what may be the legalisation of all forms of weed. The next 6-8 months will be spent drafting the required regulations, looking at how production, distribution, and security will be managed - as well as what the requirements will be for a license to use medical cannabis, based on whether it is for research or commercial growers. There is no doubting that this is a positive step for users of medical marijuana as it will be legally available to help patients suffering from cancer, epilepsy, and chronic pain - an avenue previously unavailable. This is not only a benefit to the people, the implications for Australia's economy are also extremely positive. The University of Sydney Business School estimates this new venture into the cannabis industry for Australia could be worth as much as $100 million dollars in its first year; certainly not pocket change. The knock on effect for this will be the creation of jobs at every stage of its cultivation and distribution, as well as the chance for researchers in Australia to be granted the opportunity to study medical marijuana's positive properties more extensively. That figure also doesn't include what could be a world dominating export industry for cannabis. Given the vast amount of land available to the Australian government and the already high standard of exports, it is assumed that the cannabis industry will be no different. We could be looking at some the some of the best strains coming from the other side of the world. There are, however, some caveats to this new legislation. There are bound to be heavy and restrictive measures in place which may limit the effectiveness of its distribution and use, given that the line between medical and recreational weed can often be blurred. This will be in an effort to stay in-line with current UN regulations, so the Australian government is bound to take this approach. And whilst the federal government has promised to downscale medical marijuana to a “controlled drug,” individual states have the right to maintain its status as “restricted”. As we've already seen, we also don't know how the legislation and licensing will play out either, or even which strains will be available for use. This could potentially limit how many people can be helped with the use of medical strains of cannabis. There is no denying this is a huge step in the right direction, not just for cannabis culture but more importantly for people. The potential improvement in the quality of life without the persecution of using an illegal substance is bound to be a game changer for so many Australians. With a vast export industry waiting in the wings, it is sure to have positive repercussions not just in Australia but throughout the world. Does Oestrogen Alter The Effects Of Cannabis?